Restore Liquid is the ultimate liver tonic. Restore Liquid’s premium herbal blend helps to cleanse your horse by supporting the liver and digestive system. This quick-acting, palatable formula helps to maintain peak condition, support efficient digestion and increase coat shine and colour. Results can be seen within a few days. Coat colour often changes colour as digestion and feed utilisation improves. Restore can be used continuously for ongoing support. Suitable for all horses and ponies. Feed 1 x 25ml twice daily for an average 500kg horse. Reduce to half this amount for maintenance levels. Restore can be fed throughout the year. "I just thought I'd let you know that B is doing really well now (touch wood) and that his protein level was much higher on his last blood test, I think the Restore has really helped him"
"My lovely gelding is 17 years young and I have always struggled to help him gain condition and keep it on. I have had him for 13 months and this is the best he has ever looked! I believe Restore has helped to maintain the normal function of his liver, and with that he's been able to digest his meals in the way nature intended, allowing him to gain condition. His coat is so soft and he appears to have much more energy after a 1ltr course of Restore. It was recommend to me by my yard owner where I livery, I swear by the stuff and will use it every quarter." 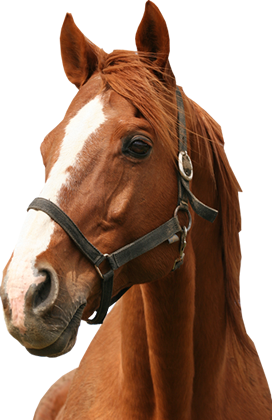 "My 19 year old thoroughbred gelding has had a rough past and as a result he needs help with his digestive system. I have just run a course of Restore through him and am very happy. He comes trotting down the field to see me looking like he is floating and we recently placed 3rd out of 15 in a dressage competition. His bowels are comfortable and he is successfully living out 24/7 without any gas build up in his hindgut. His movement is great and he is a lot less stiff, as well as him shedding his summer coat a lot quicker than he usually does. He is a lot happier to be groomed and has stopped trying to bite me when I brush near his tummy. So, thanks for this wonderful product!" "I wanted to say thank you for the amazing results that Restore has had on my horses. After just two days on a high level of Restore my 8yr old TB was behaving more like his cheeky self! You have to use it to believe the massive difference that it can make to your horse. This product is now part of my feeding routine prior to winter and coming into the spring. It really helps maintain their wellbeing and their coat condition. I use Restore for my horse and donkeys and my horse Trooper is on Alphabute all the time for his joints and I would highly recommend your products to anyone." Zoe started using Restore liquid and ImmuPlus on Todd, a 17hh, 13 year old TB ex-racehorse, after phoning the advice team. Todd had lost lots of condition and looked poor. Zoe said: "After one course of Restore, everyone says how great he looks and he is competing in the Trailblazers dressage league. Todd is also fed FlyFree which he could not live without during the summer months! Before using FlyFree he used to hate fly bites and always had flies around him." "My pony was suffering with a long coat, was lethargic and generally not in good condition. This was heart breaking because I have had her since she was born. With nothing to lose I rang Stephen (GH vet) and a couple of day's later Restore arrived. Well what can I say.. my pony was 33 in May and still looks a picture of health. Five years ago, I had to make the biggest decision of my life regarding my beloved pony. She had to have an operation on her eye and after phoning Stephen again, she was also put on ImmuPlus. Combined with the Restore, she went through the operation like a youngster. No one at the vets could believe her determination and how quickly she recovered. All thanks to Global Herbs would be my reply to anyone who stood looking at her in amazement. I hope to have my 33 years young pony for many more years and will continue to use Global Herbs throughout the rest of her life." "Restore liquid was amazing for my horse after the vet said he needed some real alternative help. He was amazed by his recovery and wants to order some. My friends are so impressed with your products they too want to make an order." "Just a quick note to say how impressed I am with your products, particularly the Restore liquid which I am currently using to great effect on a New Forest youngster who has had a tough time of late and needed support."